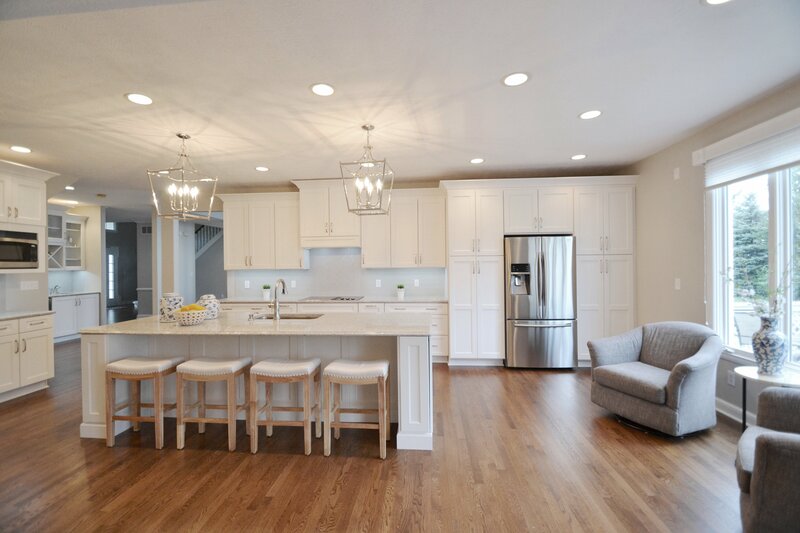 We find that many of our clients want a kitchen that is spacious and beautiful, but also warm and inviting. For most families, the kitchen is the area where meals are prepared and shared. We love creating spaces that allow people to enjoy spending time together. 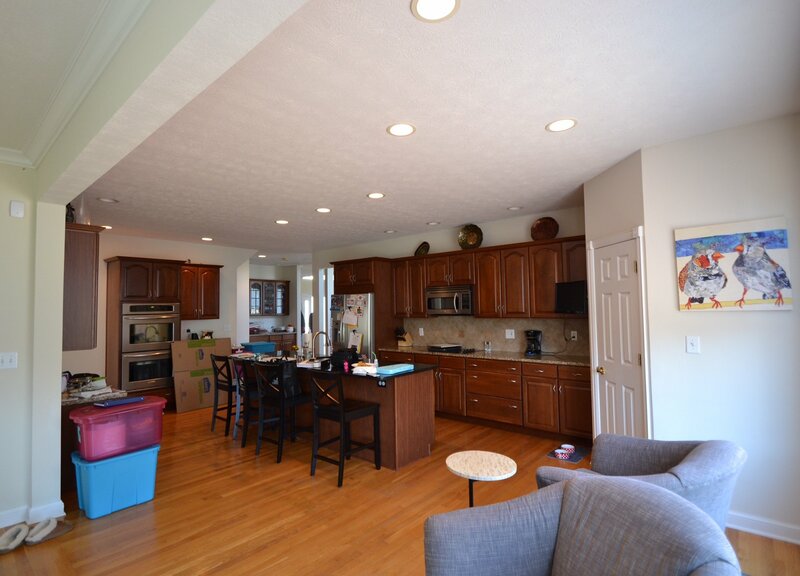 In this recent project, our goal was to create a brighter and more spacious kitchen. We kept the basic layout of the kitchen the same, but updated many of the elements to create an entirely new look and feel. One of the most noticeable changes we made was updating the cabinets and countertops. 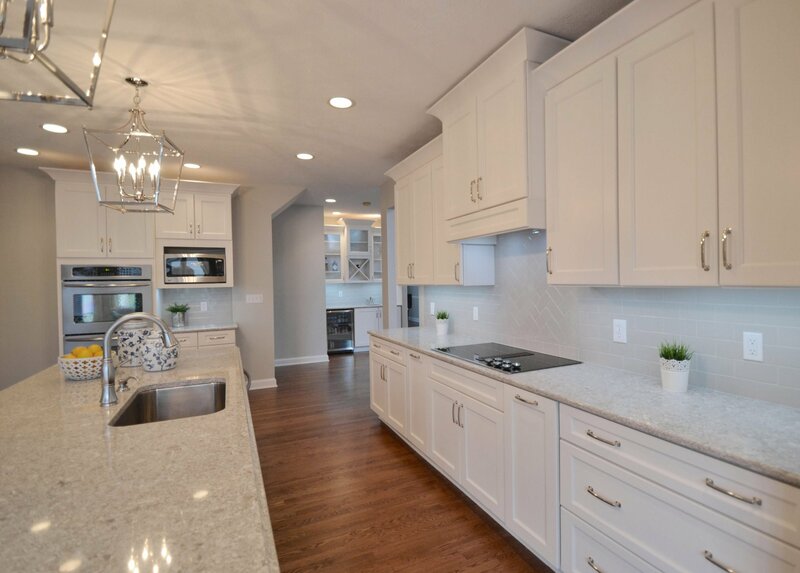 We went with Legacy cabinets in Ivory, and lovely Cambria quartz countertops in New Quay. We also added a new backsplash, using 3” x 6” subway tiles in a pale gray. The existing flooring was beautiful, but needed a bit of TLC to be looking its best. Rather that replacing the hardwoods, we decided to sand and refinish them, which made them look as good as new! We also made the space brighter by adding more lighting. 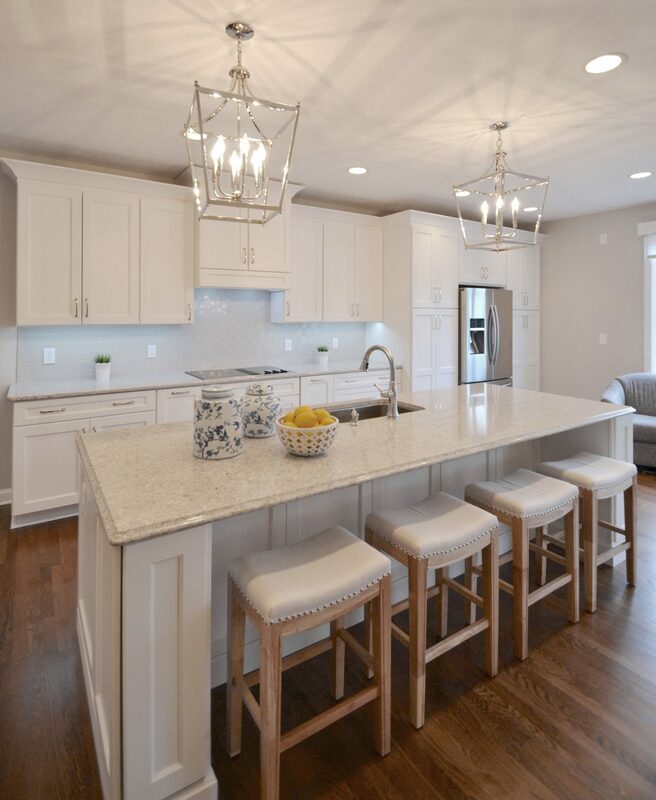 We put two gorgeous fixtures over the island, and added lighting under the cabinets as well. One of our favorite parts of this project wasn’t actually in the kitchen! We also created this open storage area. 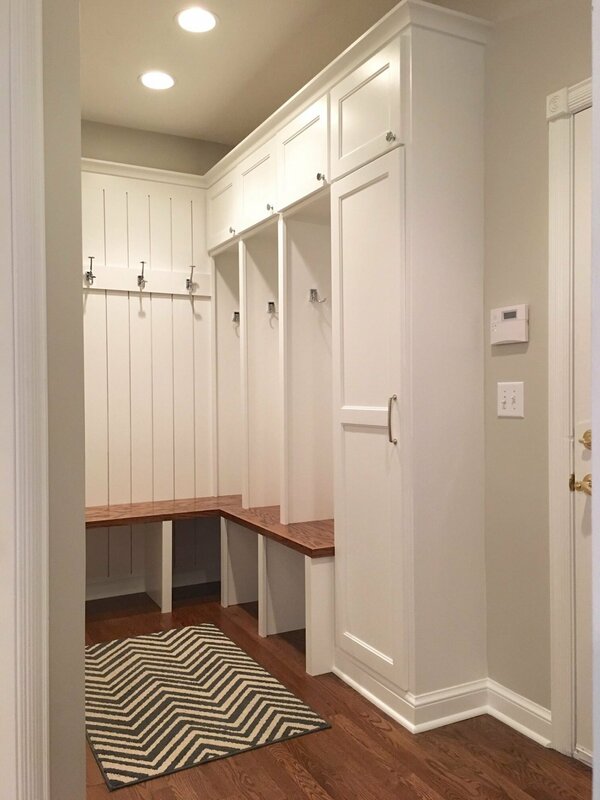 It’s the perfect place to hang jackets and backpacks, and provides a central location for the family’s items. The space looks great, and helps improve organization. Are you ready for a bright, beautiful kitchen? Contact us today. We’d love to help you plan a kitchen that meets all of your needs and also looks modern and stylish. Need a little help planning your project? Check out our Cabinet Planning Guide to get ready for your kitchen remodel. You can also check out our Budget Calculator to plan financially for your project. Looking for some ideas and inspiration? Check out our Project Gallery and be sure to follow us on Instagram.